What is Flippy Bird 3d? 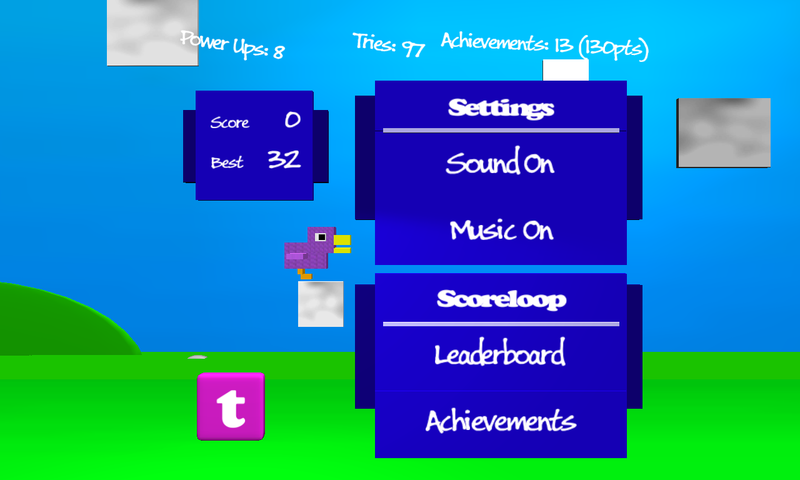 Flippy Bird 3D is (yet another) spin off on the bouncing bird franchise. You may have heard of Flappy Bird? Well, its the same idea, but with a 3D concept for an environment. The game originally started off very basic, and took around 8 hours to complete from a basic level. The current game has an additional 40 hours of effort placed into 7 different service packs and upgrades (and still counting!). 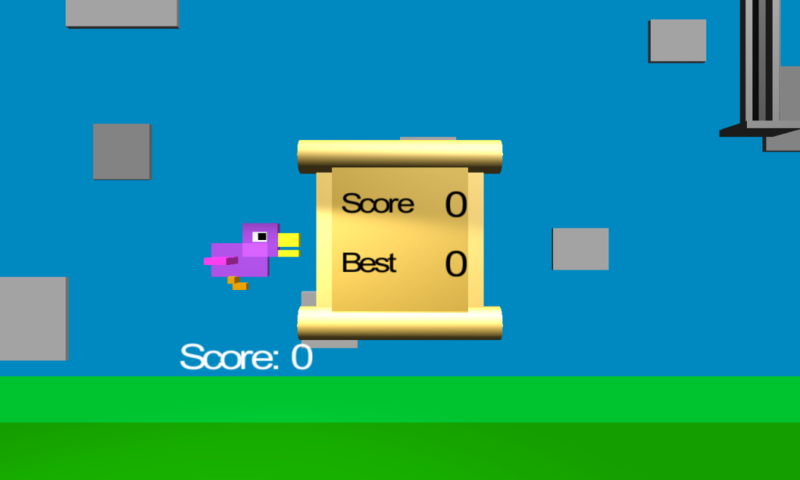 There is the obvious, Flappy Bird directly inspired the game. However, what got me thinking about this was playing it on iPad 2. It was a simple game, addictive and fun, yet easy to get into. My next step was to see what alternatives existed on BlackBerry 10. Needless to say, at the time, there was none. So, I decided to challenge myself. I wanted to see if it could be created in Unity3d, in under 8 hours, and be actually enjoyable to play.